Longer, wider, more spacious and with better off-road capability, the fourth-gen BMW X5 will go on sale in India soon. Powertrain options at launch will include 3.0-litre inline six-cylinder diesel and petrol engines. BMW India is all set to launch the new X5 in India. The fourth-gen model of the luxury SUV will go on sale here on May 16, 2019. Highlights include a new and lighter platform, more spacious cabin, updated powertrains and more tech. On the visual front, the new X5 gets some significant changes, featuring sharper and sleeker lines. The main highlight is the new kidney-grille that dominates the front fascia. LED headlamps will be offered as standard across the range, while BMW Laserlight with Adaptive LED will be an optional extra. ​​​​​​In India, the engine options on the X5 will comprise 3.0-litre inline six-cylinder diesel and petrol powertrains – namely 30d and 40i. The diesel is rated at 261bhp and 620Nm, while the petrol develops 340bhp and 450Nm. Both engines come paired to an 8-speed automatic gearbox, sending the drive to all four wheels. 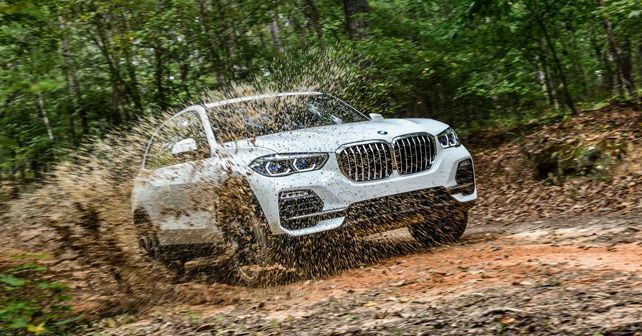 In addition to all of the above, the BMW X5 gets – for the first time – selectable off-road modes. The new X5 will also get air-suspension, but this will be optional and not a standard fitment. The new X5 will compete with the Audi Q7, Mercedes-Benz GLE, Land Rover Discovery Sport and the Volvo XC60. As for its prices, expect them to hover between Rs 70 lakh and Rs 80 lakh (ex-showroom).